Would you not instead prefer to buy a kit that brushes your teeth in 15 seconds without your hand? Our electric toothbrush is a perfect solution for you and you will love it for its many incredible benefits and features. The electric toothbrush features a unique u-shaped mouthpiece designed to quickly clean your teeth surfaces and interiors in 360 °. You can brush your teeth in 15 seconds without hands. Sophisticated design, and adopted in latest hands-free technology, will be the fashion leader of the toothbrush. Wireless charging: wireless charging mode. A load of 1-2 hrs, can live more than 20 days, really saving energy and protecting the environment. 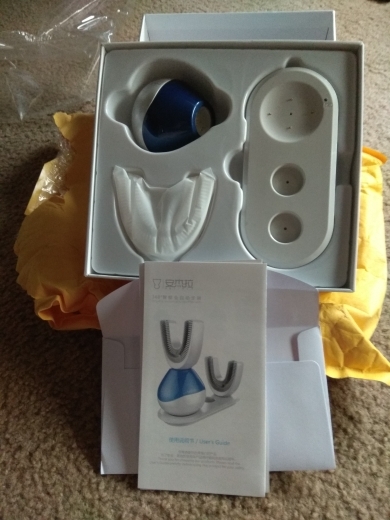 magnetic suction connection: Turn it off, uninterrupted connection, let the head of the toothbrush head not be in complete agreement, do not worry about the shock caused by the problems of brushing the head. Unique ultrasonic technology provides enormous energy to the head of the toothbrush. powerhead: The power head is also called the energy silo. When you use it, it will constantly supply power to the head of the toothbrush, and the toothpaste solution will be stored here. 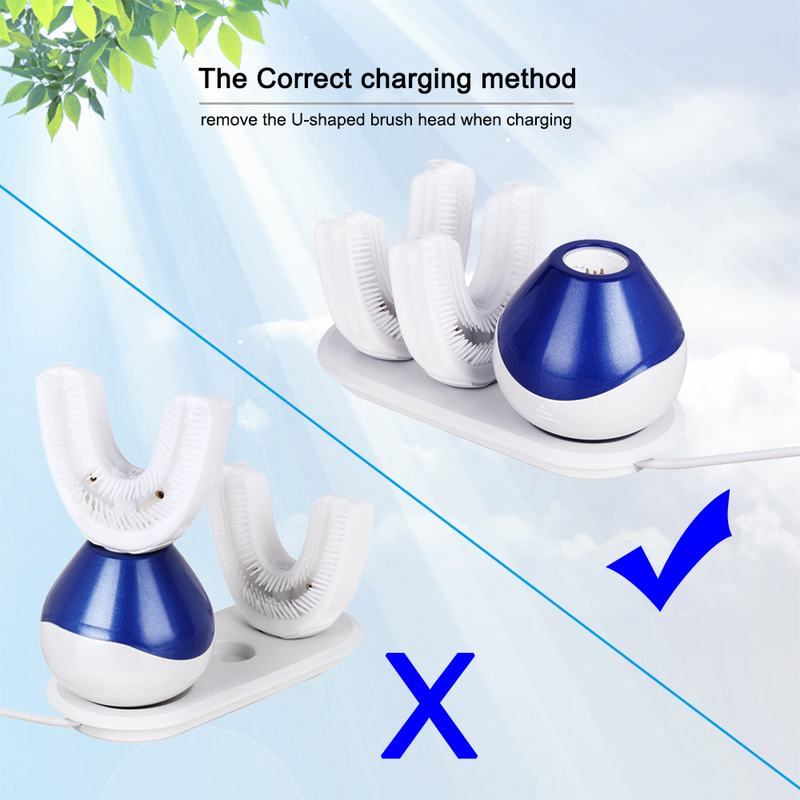 In addition, the powerhead needs only one, which can satisfy the use of a plurality of toothbrush heads. Emancipate your hands: U type unique nozzle design, so brush your teeth to free your hands, improve the efficiency of your life. With ultrasonic technology, combined with the U-type design, using only 10-15 seconds to complete a bearing brushing action of 360 DEG, you will love brushing. It adopts high-strength antibacterial AB environmentally friendly materials, which is convenient, durable and clean. 360°contact with the gums and teeth, bringing luxurious oral cavity SPA experience each time you brush your teeth. 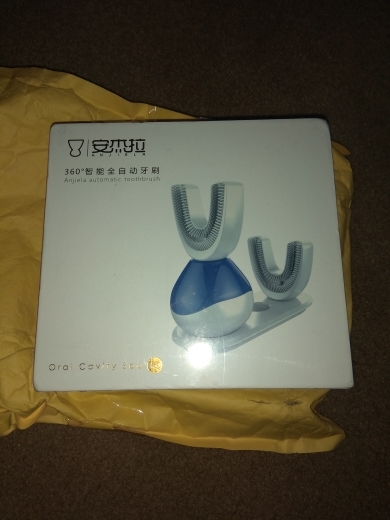 This product can prevent gum atrophy, promote periodontal blood circulation, and reduce the incidence of periodontal disease. 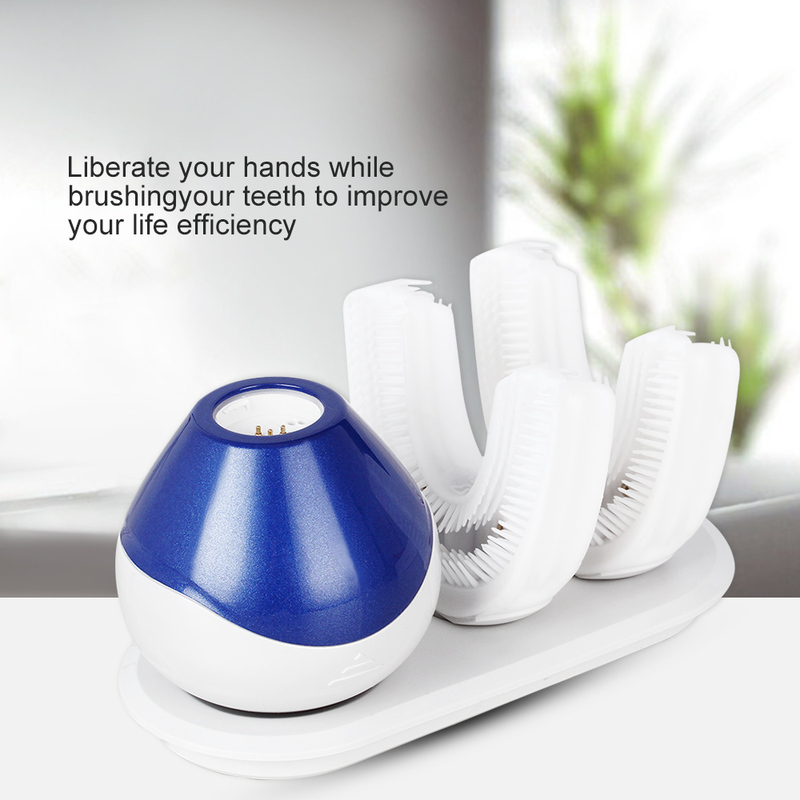 A powerhead supports multiple toothbrush heads, for you to share with your family members. Step 1: Pop it in and push the button. Step 2: Wait for 10 seconds. Step 3: Spit and amp; Rinse. and then the device will be charged. During the charging process, the red light of the charging base will stay on. indicating that the charging is completed. Charging time is about 1-2 hours. and remove the U-shaped brush head when charging. We’re responsible for every customer of us. Any question or doubt you have, please contact us. We will do what we can to make you satisfied. Our policy on resend and refund is very thoughtful and reasonable. Your order did not arrive due to exceptional circumstances outside the control of dealuxa (i.e. not cleared by customs, delayed by a natural disaster). The order was received, packaged perfectly, charged for charging. It is a pity that I can not check in action, liquid toothpaste is still on the way. As I try, I'll add a tip. Professional packaging, comes with instructions. Wireless charging station comes with a 3ft USB cable, but no wall plug. 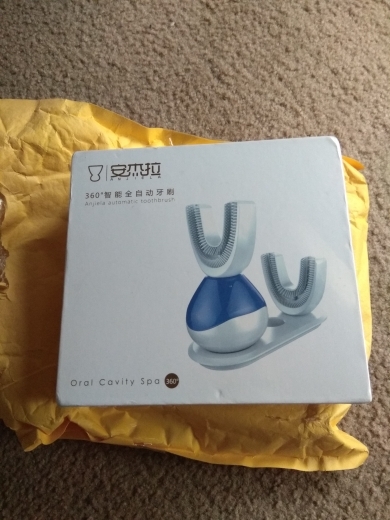 The mouthpiece is definitely American size, but not easy to bite if your teeth aren't level. It's hard in the center. You can definitely feel the vibration in your mouth, about as loud as a phone vibration, no true way to know if it's actually working. I follow up with a quick scrub of a wet toothbrush to make sure food bits get removed. I can not wait to try it. 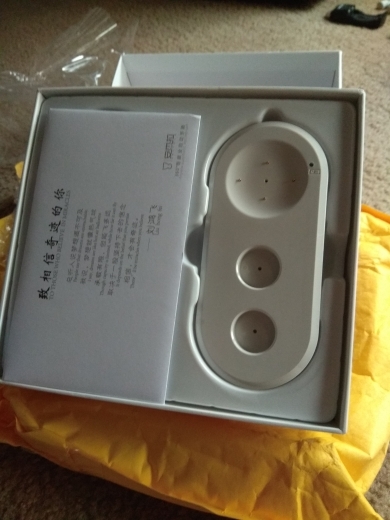 the vibrating parts seem quite big and are not suitable for everyone. pay attention to this when ordering.